The nights are starting to draw in, and it won’t be long before the shops begin to stock a variety of cheap rubber masks and giving sweets to small children won’t put you on any sort of register. 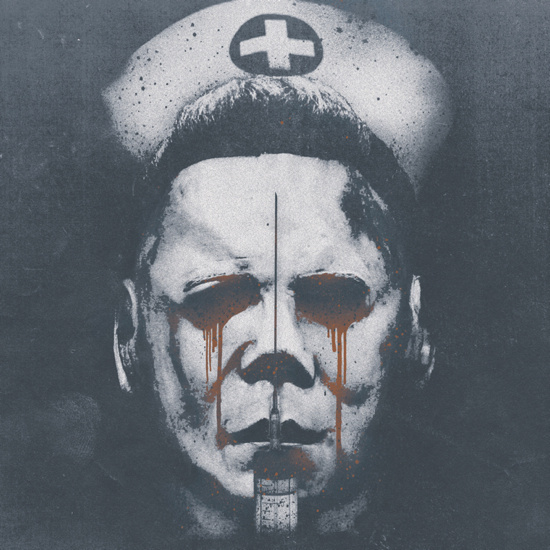 To celebrate All Hallows Eve, Spencer Hickman’s Death Waltz Recordings are issuing a vinyl re-release of John Carpenter’s soundtracks to the second and third installments of the Halloween slasher franchise, out on October 15. The electronic masterpieces, which are fuelled by an onslaught of sinister synths lines and creepy chord sequences, have influenced a huge variety of genres today. There’s also an inclusion of The Chordette’s ‘Mr Sandman’ that first made a disconcerting appearance at the end of Halloween II (album artwork above) as Michael Myers seemingly burned to death. Carpenter worked with faithful collaborator and composer Alan Howarth on both the recordings, which are both to be released on limited edition black and orange vinyl, complete with a poster and lithograph. To pre-order, head to the label's site here. In other Death Waltz news, they have recently announced a deal with Hammer Films which will see them reissuing their classic film scores, beginning with The Devil Rides Out, which gets the same limited edition coloured vinyl, poster and lithograph treatment, along with sleeve-notes by James Bernard.